This spacious branch of this pioneering "nouvelle japonaise" restaurant serves excellent fusion-oriented cooking and offers a panoramic view of the harbor lights. The menu changes seasonally, with creative dishes like tempura-fried dried tomato and camembert, foie gras sushi, and a surprisingly diverse six-part tofu platter that's a real tour de force. 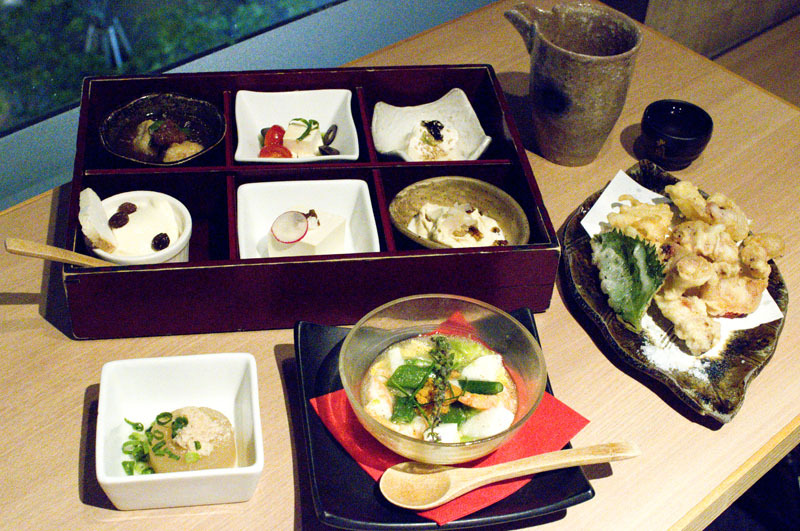 Well-executed grilled meats and fish make up the bulk of the main-course selections, with small but well-chosen lists of sake and Japanese fruit liqueurs to drink. 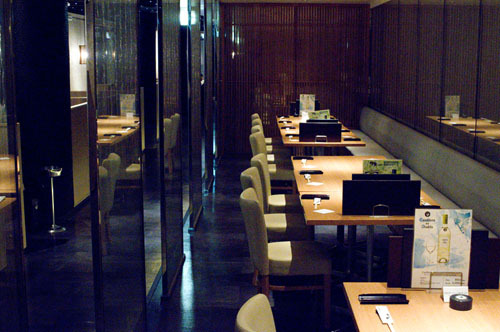 Cozy banquettes for two face the windows, with more spacious table seating in the interior of the restaurant. Budget around Y3000-4500 for food and drink at dinnertime. 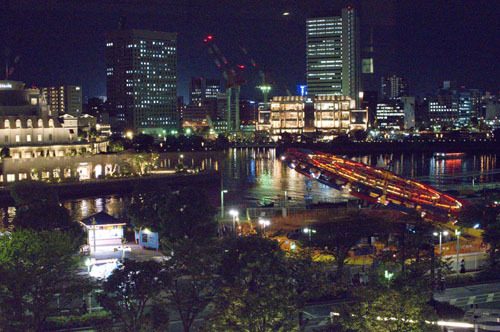 Nishi-ku, Yokohama, Minato-mirai 2-3, Queen's Square "At 2nd", 4/5F.